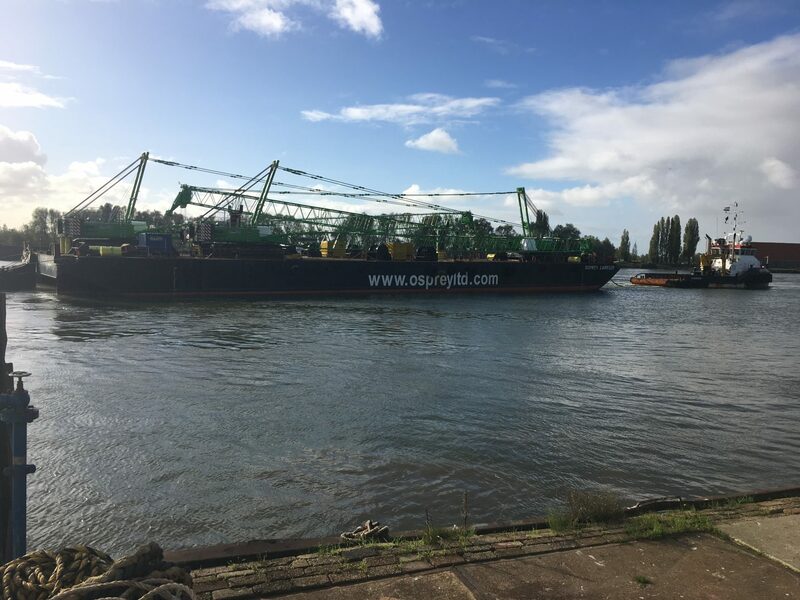 After a positive tow-survey, which was held on the 27th of October, the barge “Osprey Carrier” has left the Neptune Repair yard, Hardinxveld-Giessendam, for her journey to Morocco, the harbor of Tanger Med. The rented equipment, powerpacks, slings and anchors have been supplied by Neptune Equipment and installed by Neptune Repair in addition to the installment of the seafastening, rigging and three cranes. A perfect example of how the broad solutions of Neptune Marine works!